You might know that Westfield Tea Tree Plaza has hosted concerts by contestants from The X Factor, which have attracted thousands of spectators. It seems that our shopping hub has a long tradition of embracing popular music and bringing in the crowds. On Wednesday 9 December 1970, the Leader Messenger included a special Christmas insert advertising Tea Tree Plaza. Top news was that pop/rock band The Masters Apprentices were to appear at the Plaza on 19 December. For anybody who does not belong to the Baby Boomer generation, the iconic Masters Apprentices was founded in Adelaide in 1965 and disbanded in 1972. During this time, the band’s membership changed. However it is generally known for being fronted by vocalist Jim Keays and for launching the career of bass guitarist Glen Wheatly (who later became a well known music producer, entrepreneur and manager). The Masters Apprentices embraced psychedelia and bubblegum pop in their music, before evolving into a progressive hard rock band in the early 1970s. The band had several chart hits in Australia including the singles Undecided, Living in a Child’s Dream, 5:10 Man, Think About Tomorrow Today, Turn Up Your Radio and Because I Love You. If you are not familiar with their songs, you might have heard the instrumental music from Because I love you, as it is featured as background music in a recent advertisement for Australian Super. The Masters Apprentices was inducted into the Australian Recording Industry Association (ARIA) Hall of Fame in 1998. Mr Men and Little Miss creator Roger Hargreaves would have turned 76 today. I know this based purely on the absolutely gorgeous Google logo designs based on Roger’s much loved characters. Every refresh brings us a new design featuring one of the Mr Men or Little Miss characters in a setting suitable to each one. 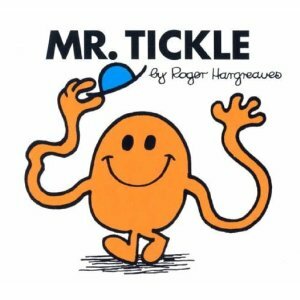 Mr Happy: Roger (actually Charles Roger Hargreaves) first released Mr Tickle in 1971 after his son Adam asked what a tickle would look like. Roger died at a relatively early age in 1988 from a sudden stroke. Adam continued to write Mr Men books until 2004. The books were made into animated series by the BBC in the late 70’s and early 80’s. Here is a you tube of one of the episodes featuring Arthur Lowe. Be warned: get the tissues ready if you grew up with these.